Head to the referral page and fill out your details. This will open the tab where you can find your referral code and links, which can be shared via email or social media. Share your code/link with interested parties – getting permission if you’re going to be using their email address. Once referred they have 7 days to sign up and place an order to unlock the bonus. Get hold of your referring friend’s code or link – the best places to look are on their social media accounts. Alternatively, pass them your email address and request that they link be emailed direct to you. Access the site via the code/link and create a new account. Place your first order and enjoy your 25% off! Maximum Referrals: up to £1500. 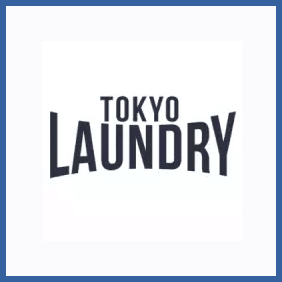 Men’s and women’s clothing, accessories and footwear galore at Tokyo Laundry. This casual (but with a fashion edge) clothing store is offering 25% discounts for anybody who signs up a pal as a new customer. The reward is accessible from 7 days of the referral going through, so get cracking.